Yikes! 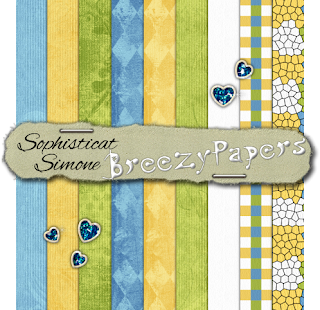 Sorry everyone, I forgot the link to the Word Art for the Breezy kit. Ok so here you all go! I had a bunch of fun making this huge kit. I really hope you all love it. 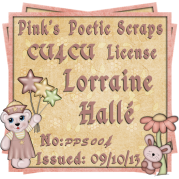 We also have 4 new tutorials at Crafty Minxs using this scrap kit. 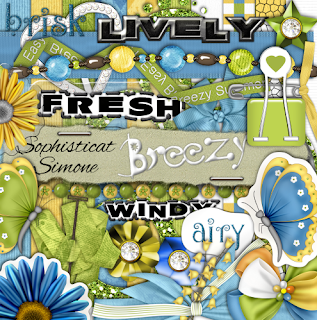 The kit is called Breeze. The colors are from the color challenge we had this week. Ok so don't be shy, download away and I would love to see anything you make with this. 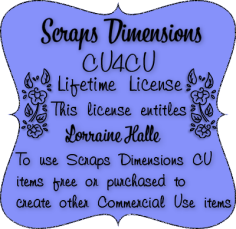 This is a kit aimed for Signature Tag makers and not scrappers. Sorry. Just playing around again and made a lit'mini freebie for you all to have fun with. It's a signature tag sized kit, not a scrapper's size kit.